Gregg Popovich, the San Antonio Spurs head coach has yet to determine whether he’ll coach the San Antonio Spurs for the 2019-20 season. 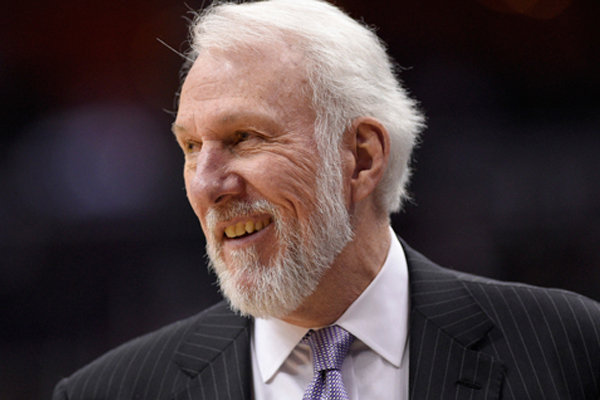 The 69 year-old coach has led the Spurs to 5 NBA championships yet he could be close to calling it quits. Should he decide to continue coaching, Popovich would become the fourth 70 year-old head coach in NBA history. In an interview following Wednesday’s win over the Dallas Mavericks, Popovich admitted that he doesn’t know if he’ll be the team’s head coach after this season. Popovich obviously has had an abundance of success with the Spurs and is still flourishing in his role despite losing Tony Parker, Manu Ginobili, and Kawhi Leonard this past summer. He has surrounded LaMarcus Aldridge and DeMar DeRozan with a group of young shooters and aging veterans, winning 15 of the Spurs’ last 21 games. During his time with the team, Popovich has accumulated .689 winning percentage and led the Spurs to 19 50-win seasons. The Spurs are currently 26-20. How successful the San Antonio Spurs are this season could certainly have an impact on whether or not Popovich returns next season.